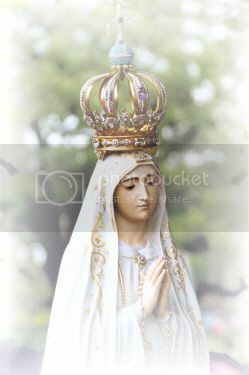 BEGINNING JULY 16TH, 2011 THE CRUSADERS OF THE IMMACULATE HEART WILL BEGIN PREPARTION FOR INDIVIDUAL CONSECRATION TO THE MOST BLESSED VIRGIN MARY. THE PREPARATION IS 5 WEEKS LONG AND THE CONSECRATION ITSELF WILL BE DONE ON THE FEAST OF THE IMMACULATE HEART AUGUST 22, 2011. THE PREPARATION AND CONSECRATION WILL BE DIRECTED BY FATHER MARC VERNOY OF THE SOCIETY OF SAINT PIUS THE X. WE INVITE ALL THOSE WHO WOULD LIKE TO MAKE THIS CONSECRATION TO JOIN US. IF YOU WOULD LIKE TO DO SO PLEASE GO TO http://crusadersihm.com/ AND SIGN UP. FOR THE CONSECRATION OF RUSSIA TO MARY'S MMACULATE HEART WHICH WAS LAUNCHED BY HIS EXCELLENCY BISHOP FELLAY ON APRIL 24TH 2011 . 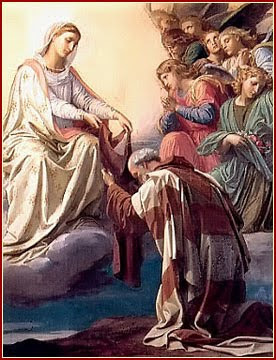 AND WE BEG HER INTERCESSION AND BLESSING UPON THIS EFFORT THAT IT MAY BEAR MUCH FRUIT FOR ALL WHO PARTICIPATE. 27. 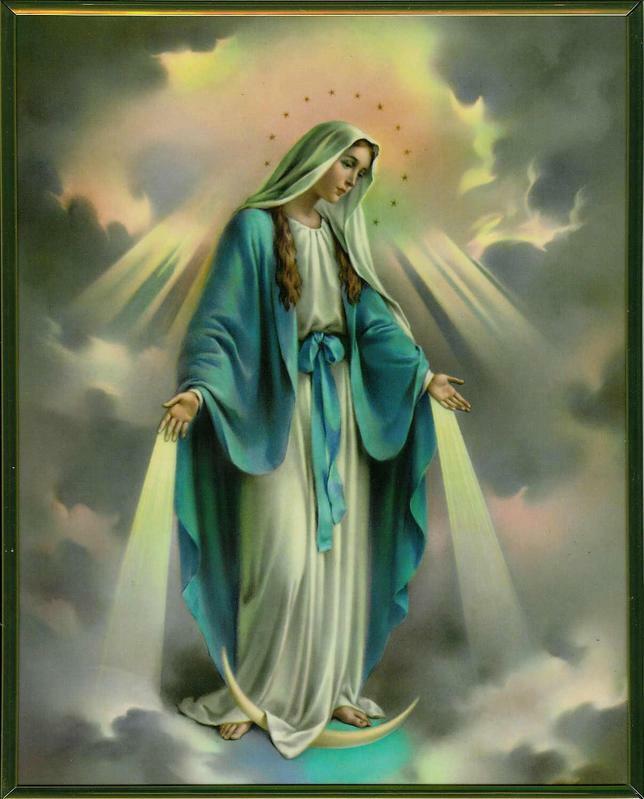 Since grace enhances our human nature and glory adds a still greater perfection to grace, it is certain that our Lord remains in heaven just as much the Son of Mary as he was on earth. Consequently he has retained the submissiveness and obedience of the most perfect of all children towards the best of all mothers. We must take care, however, not to consider this dependence as an abasement or imperfection in Jesus Christ. For Mary, infinitely inferior to her Son, who is God, does not command him in the same way as an earthly mother would command her child who is beneath her. Since she is completely transformed in God by that grace and glory which transforms all the saints in him, she does not ask or wish or do anything which is contrary to the eternal and changeless will of God. 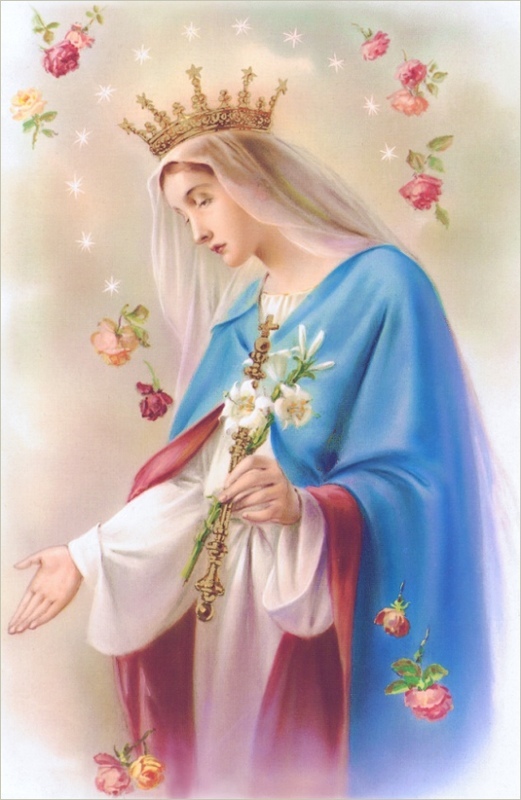 When therefore we read in the writings of Saint Bernard, Saint Bernardine, Saint Bonaventure, and others that all in heaven and on earth, even God himself, is subject to the Blessed Virgin, they mean that the authority which God was pleased to give her is so great that she seems to have the same power as God. Her prayers and requests are so powerful with him that he accepts them as commands in the sense that he never resists his dear mother's prayer because it is always humble and conformed to his will. no matter if the person has previously made it on a day other than. Thank you for posting this here. I am already signed up for it and urge everyone to come join us. Immaculate Heart of Mary, pray for us. Thanks for posting this, Cindy. It is very organized and all prayers/novenas said are collected and turned into the SSPX headquarters. Under Canon Law "all Christian faithful have the right to promote or to sustain apostolic action by their own undertakings" ..Canon 207(1). To that end, "The Christian faithful are free, by means of private agreement made among themselves, to establish associations" to carry out various apostolic works...Canon 299. In spiritual matters the merit is multiplied by participation and not divided. Therefore each member receives the same merit as if he had prayed/said each and every individual rosary himself. order of the stars: being compared with the light, she is found before it. in life, what is richer than wisdom, which maketh all things? Thank you for this post Cindy.